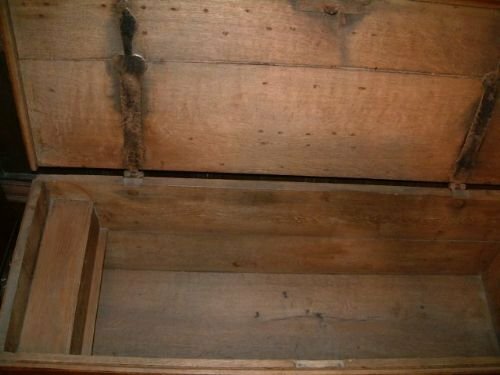 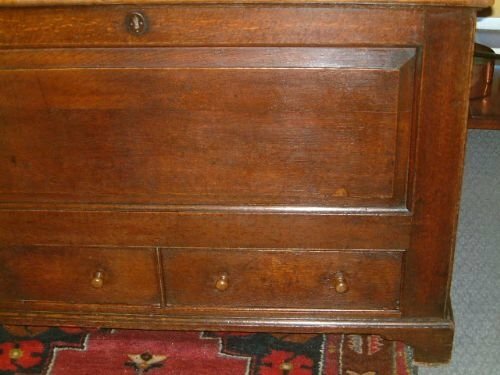 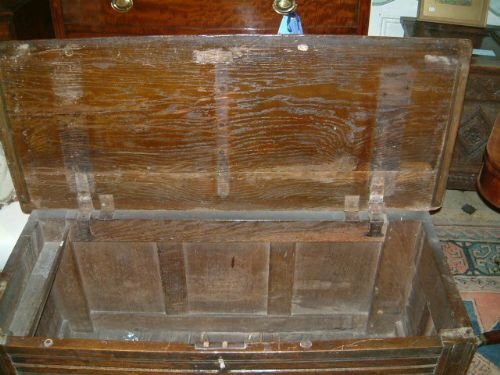 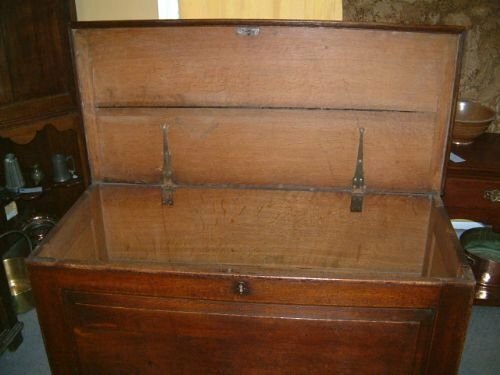 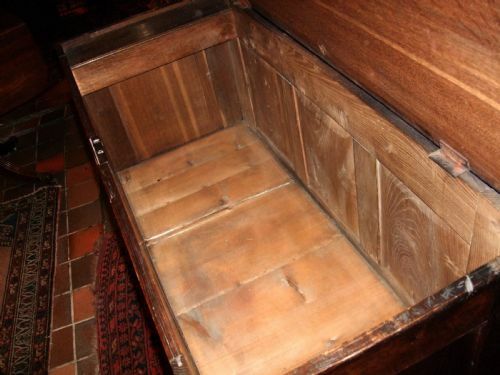 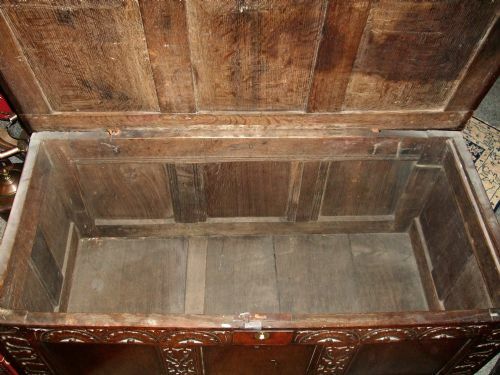 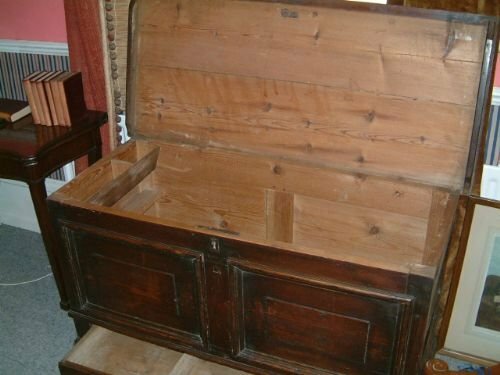 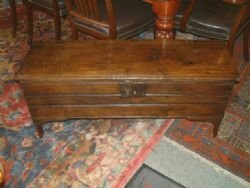 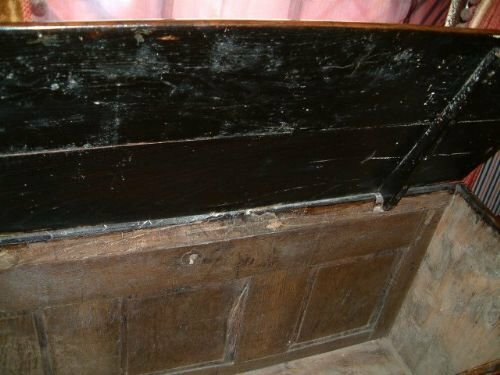 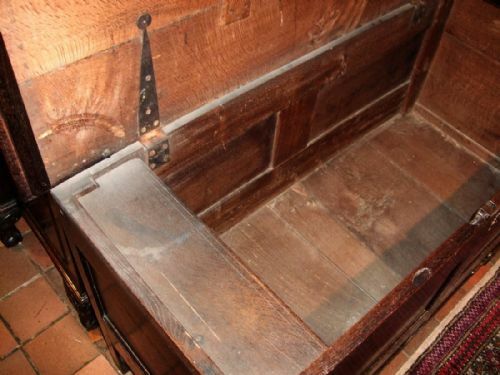 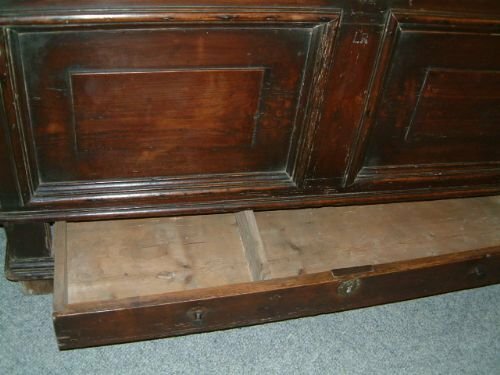 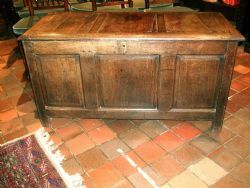 18th C Oak Coffer /Mule Chest with Lower Long Drawer. 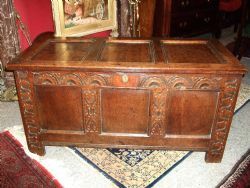 Superb Inlaid Oak Flemish Coffer with Candle Box & 3 Small Drawers, with Parquetry & Marquetry Inlay. 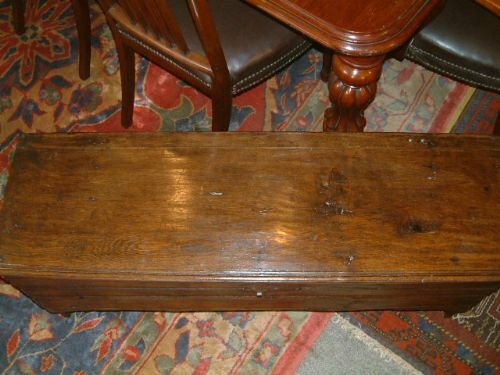 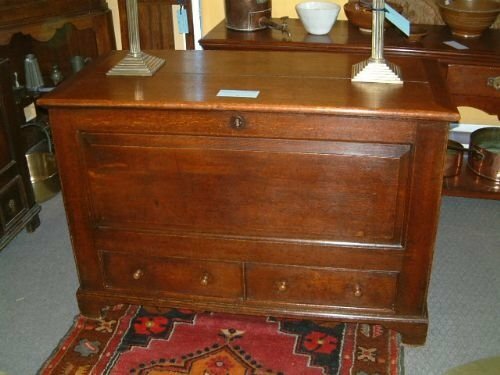 18th Century Oak Mule Chest with Arched Panels above Two Short & One Long Drawer with Brass Handles. 18th Century Oak Mule Chest the Front 4 Octagonal Panels Above 2 Drawers with Brass Handles Good Colour & Patination. 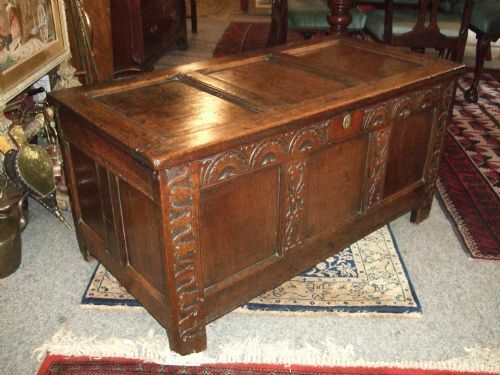 18th Century Oak Mule Chest with Arched Panels & Three Drawers Superb Colour & Patination. 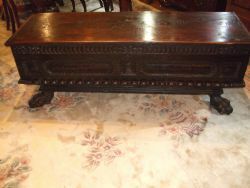 18th Century Oak 4 Panelled Coffer Inlaid with Boxwood & Ebony, Original Candle Box, Excellent Colour & Patination. 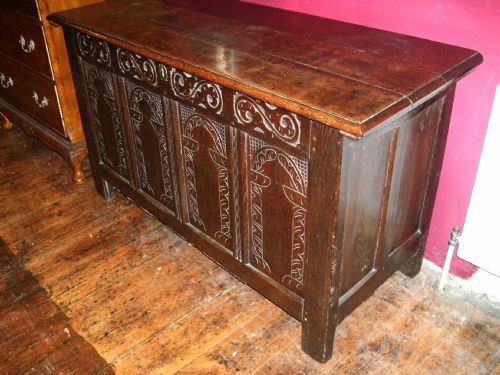 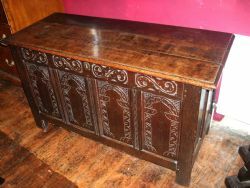 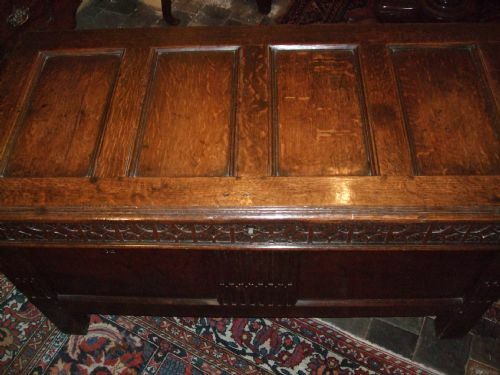 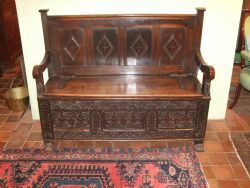 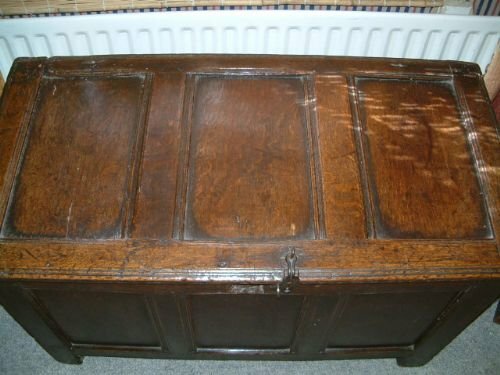 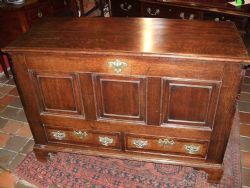 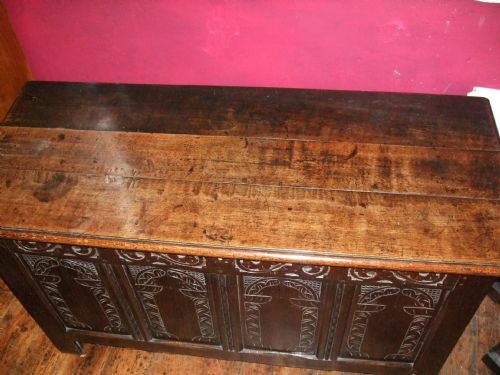 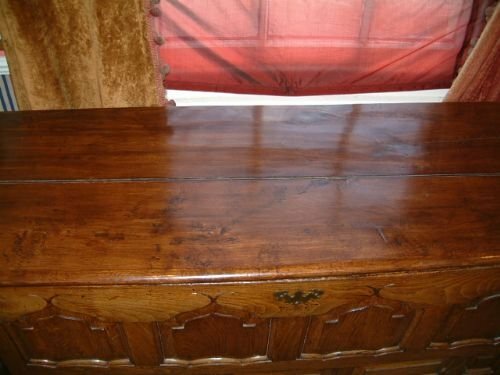 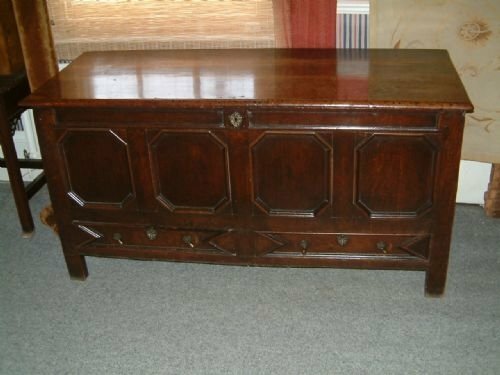 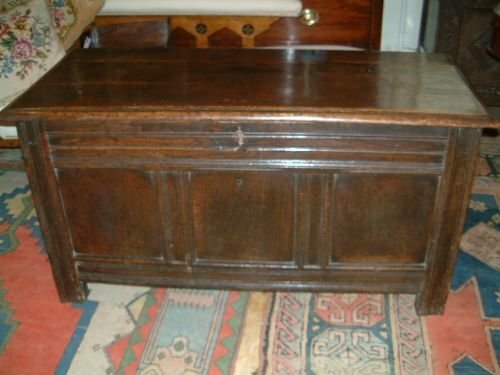 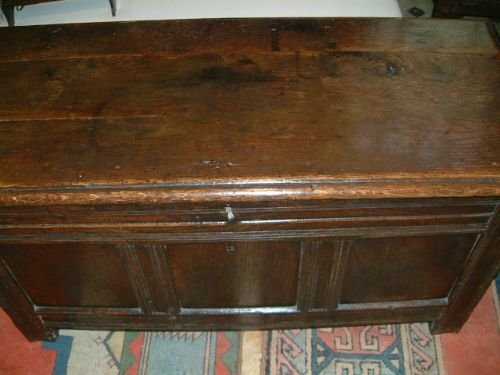 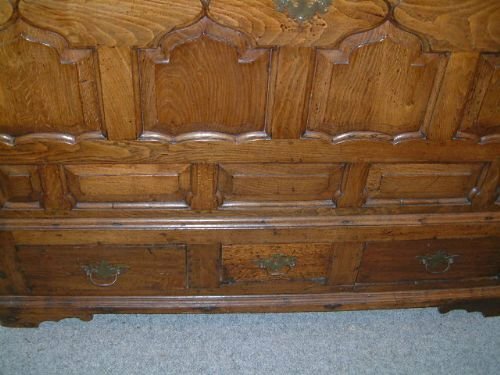 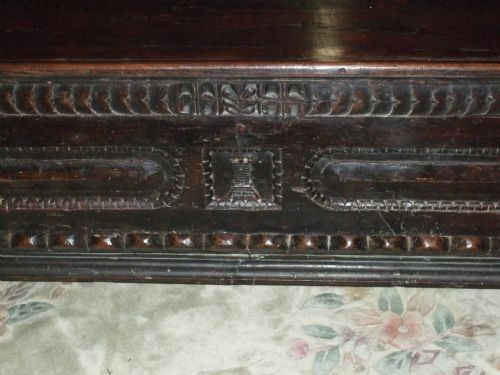 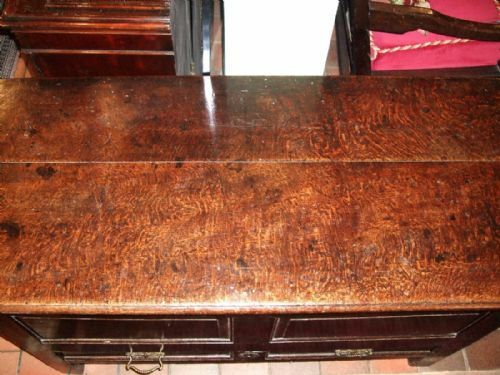 18th Century Panelled Oak Coffer, nice Colour and Patination with Carved Decoration. 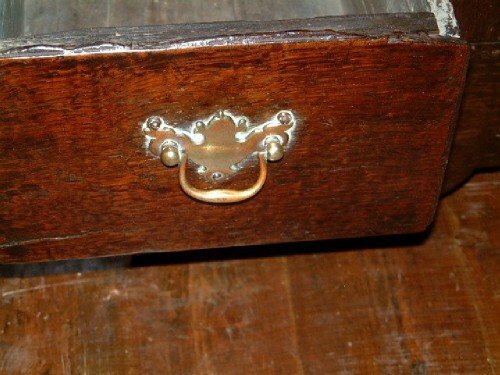 Lock now missing. 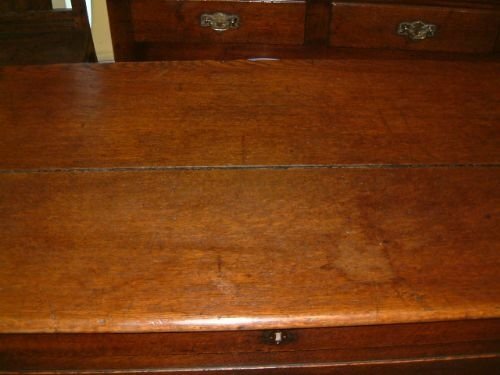 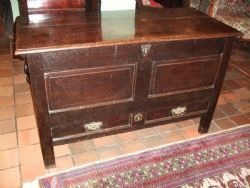 18th Century Oak Mule Chest Good Colour, Two Lower Drawers. 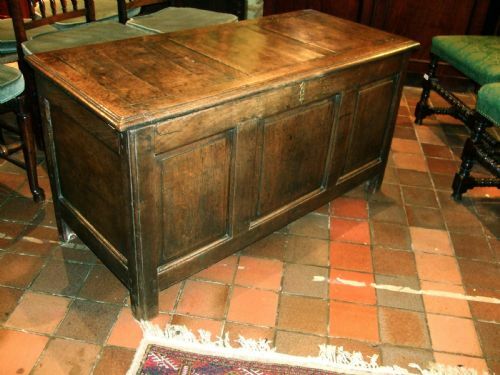 18th Century Oak Coffer of Small Proportions with Nicely panelled Sides and Good Colour & Patination. 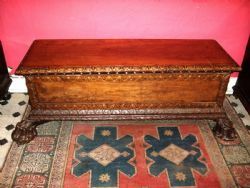 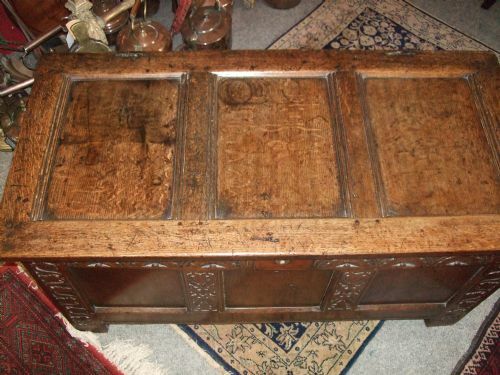 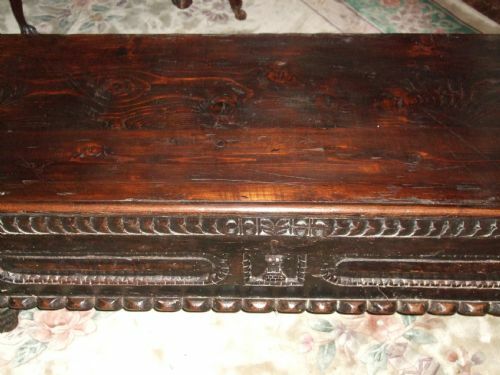 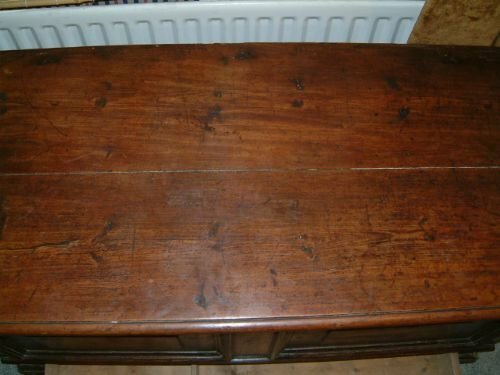 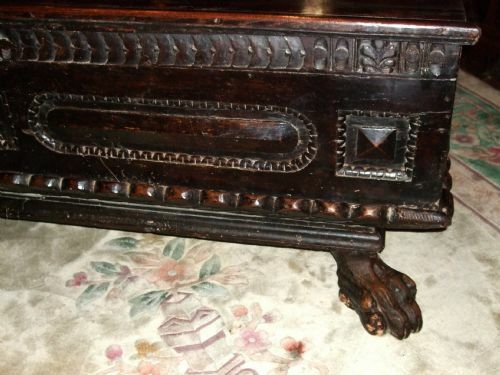 18thC Carved Oak Coffer Good Colour & Patination. 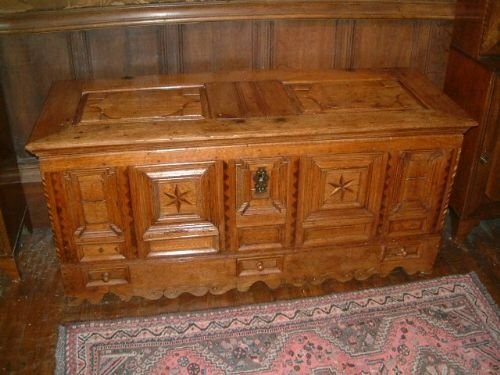 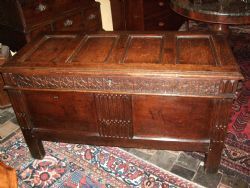 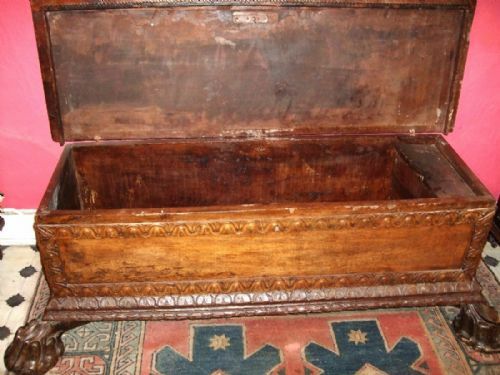 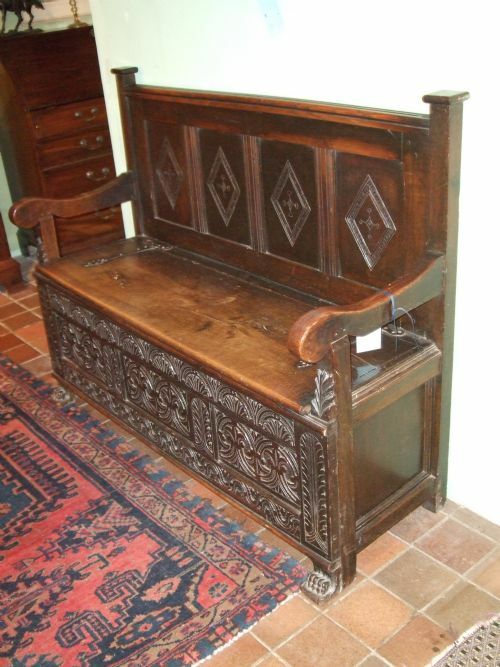 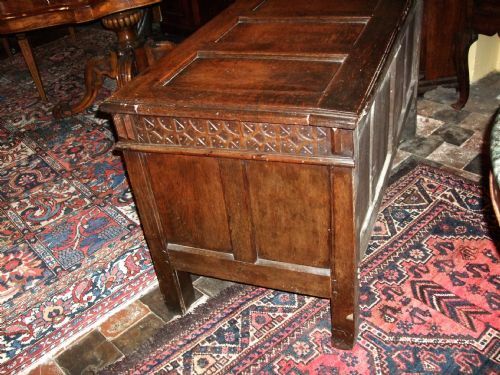 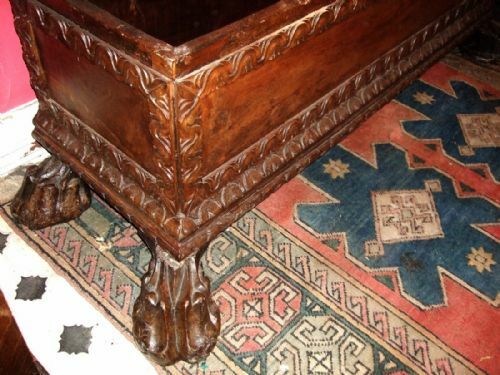 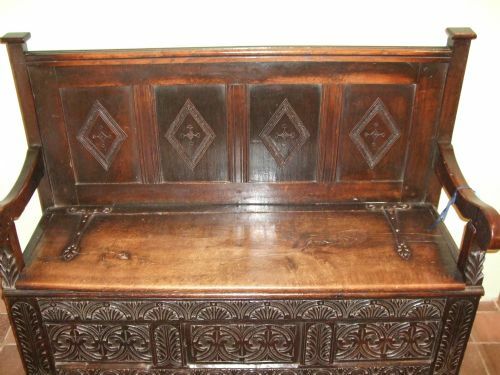 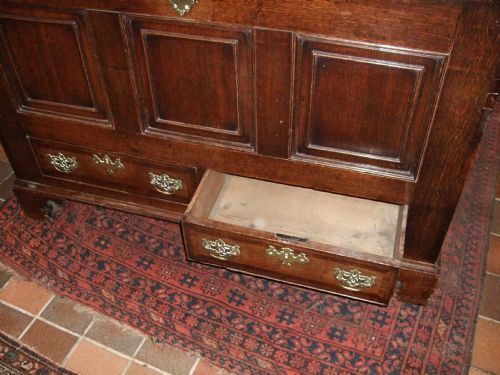 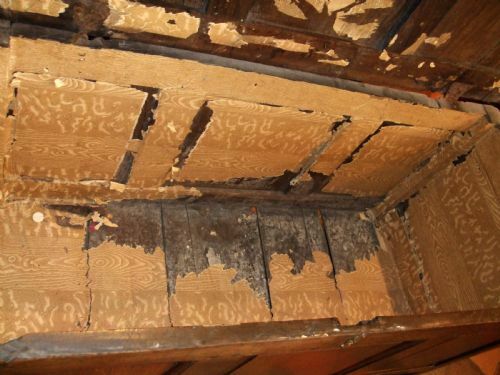 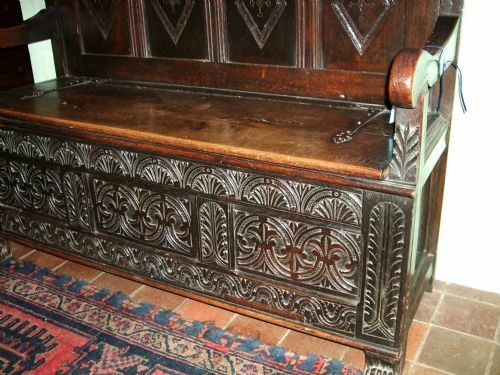 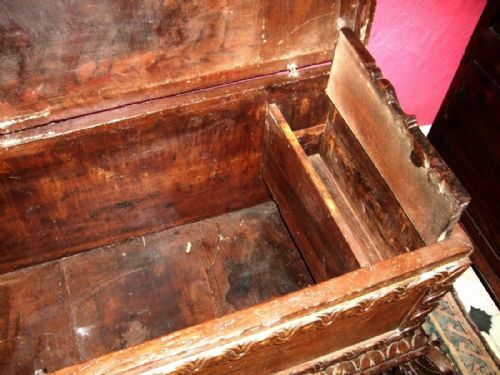 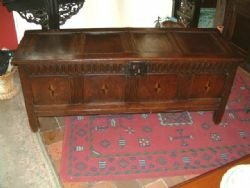 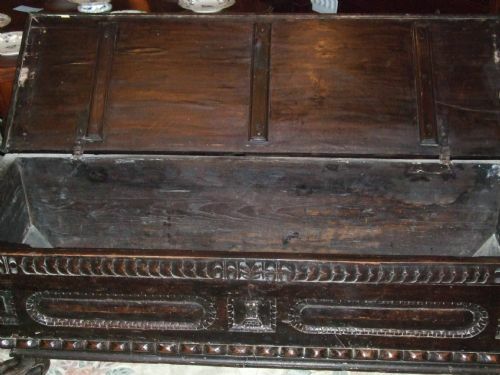 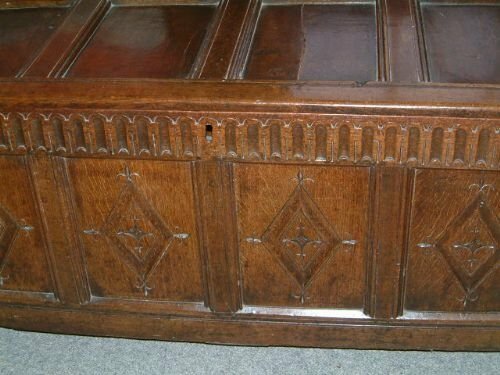 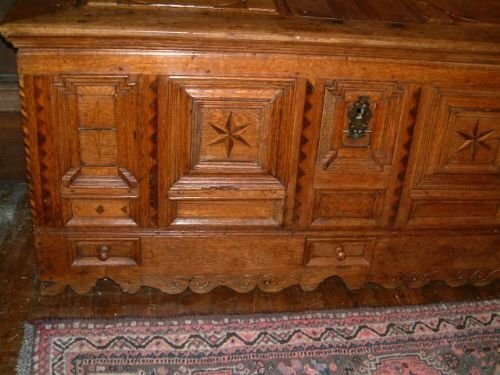 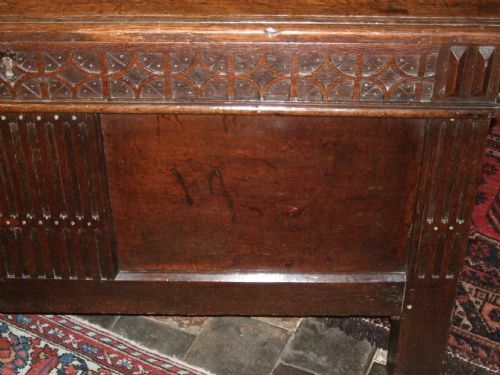 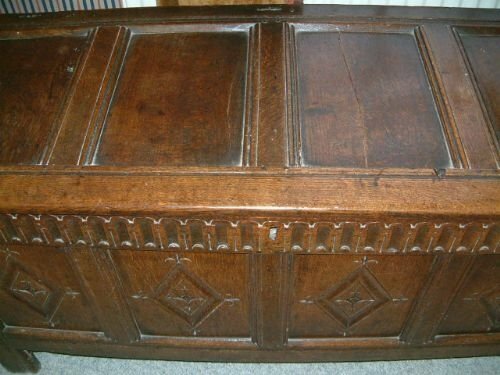 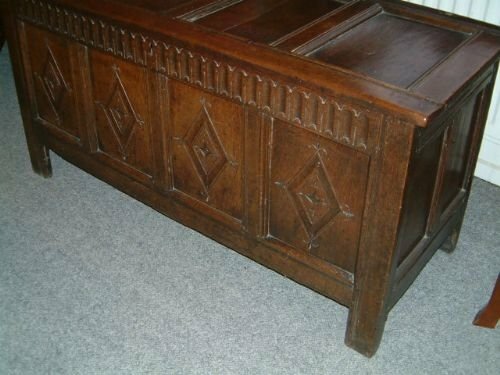 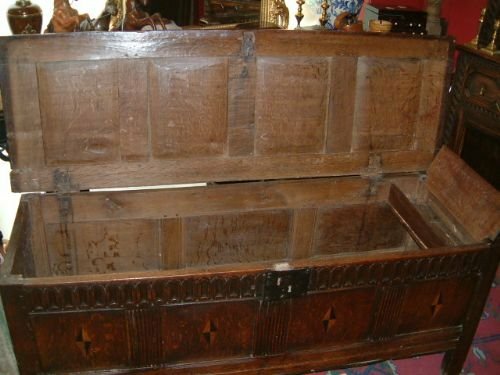 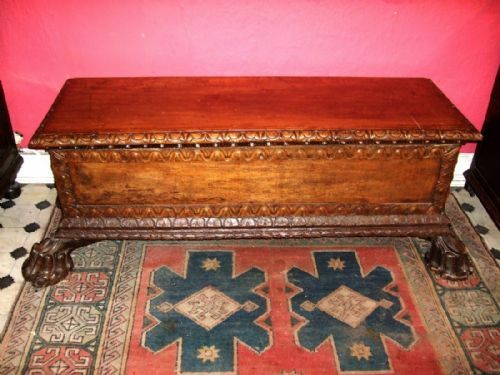 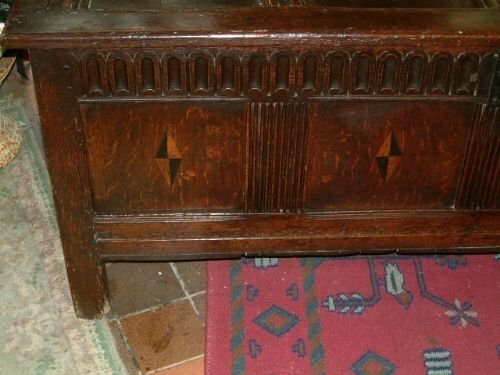 18thC Oak Coffer of Small Proportions with Carved Decoration. 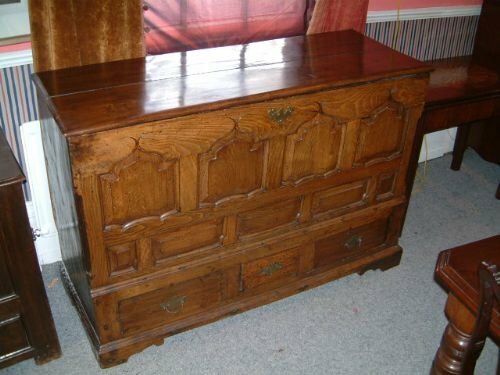 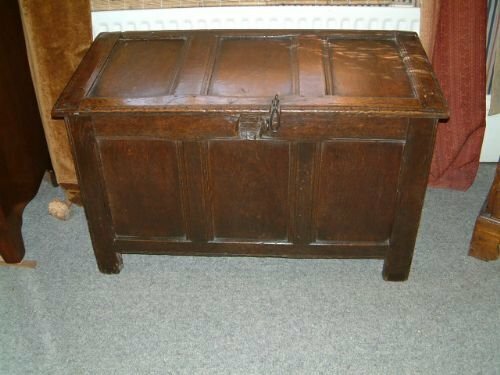 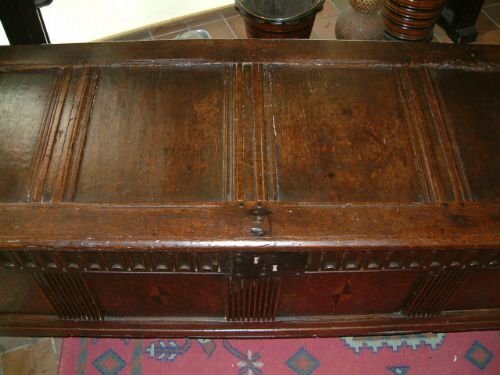 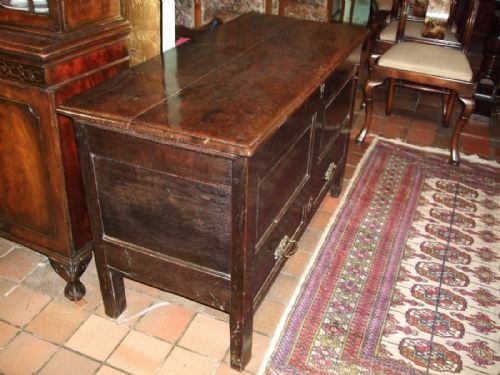 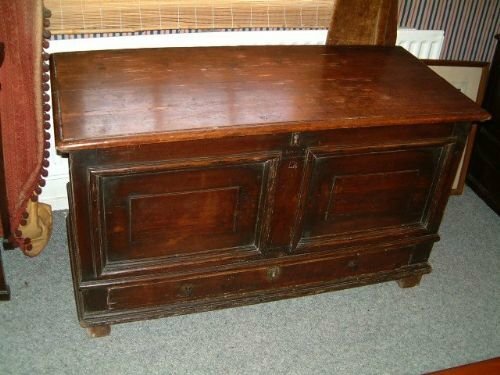 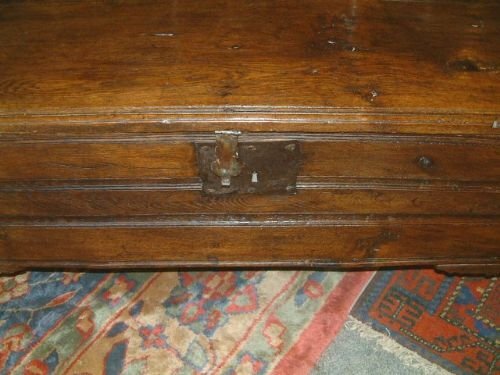 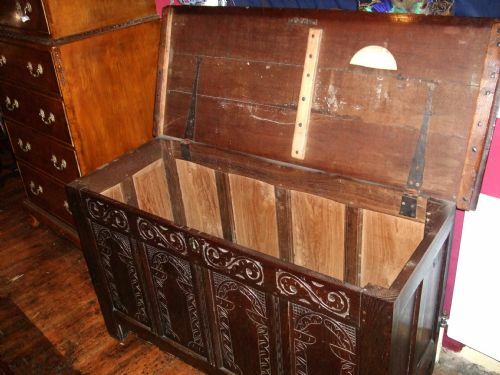 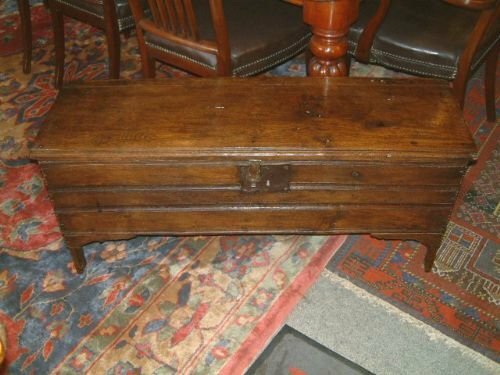 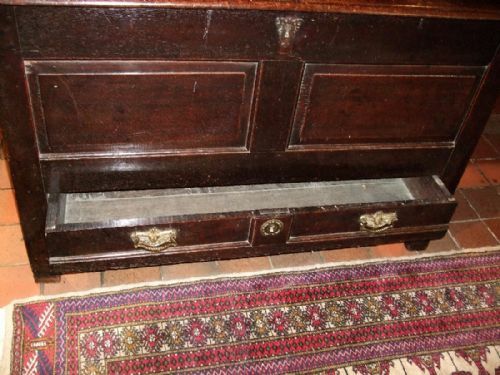 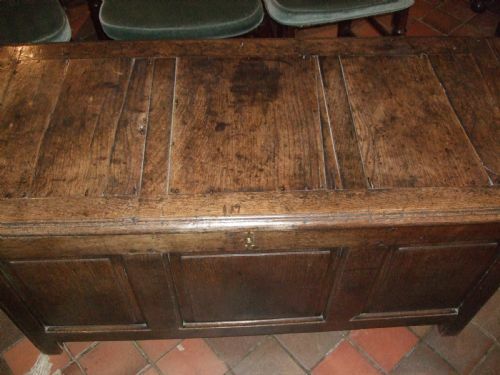 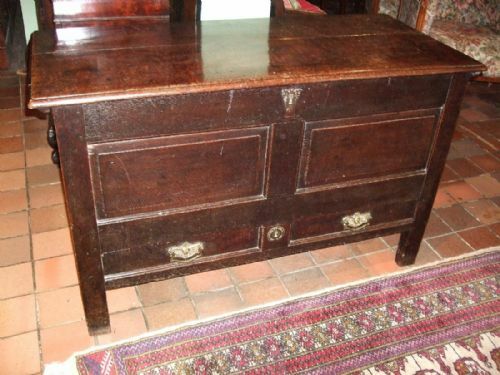 Wonderful Small 17th Century Oak Coffer with Reeded Decoration & Iron Lock. 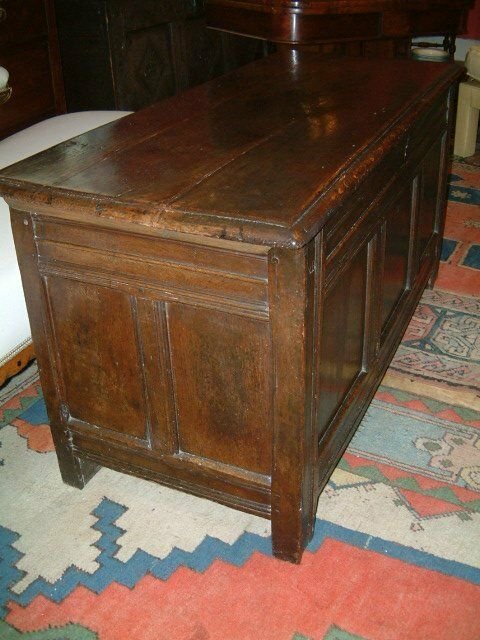 Superb Colour & Patination. 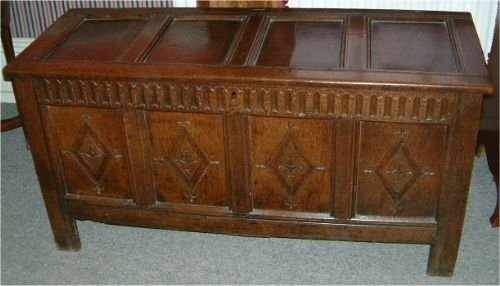 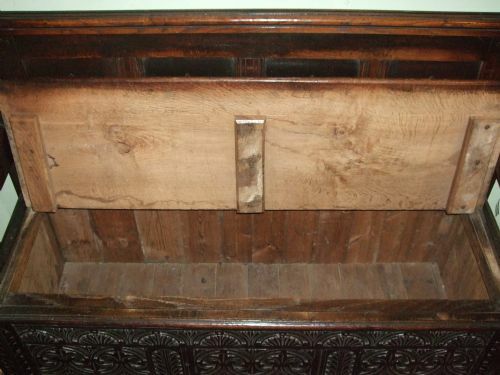 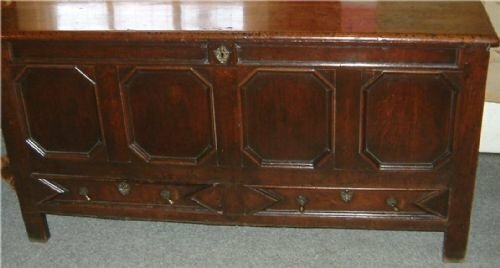 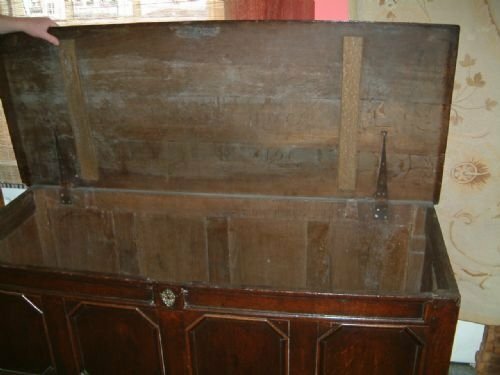 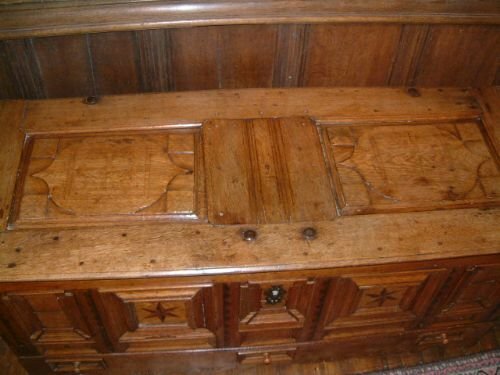 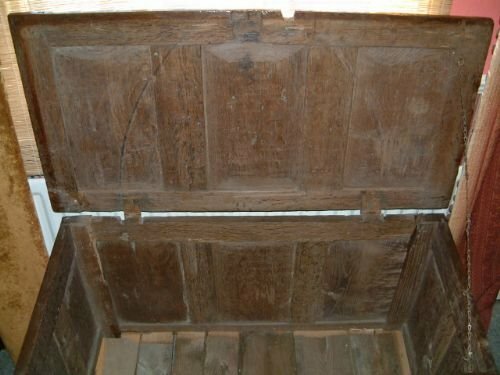 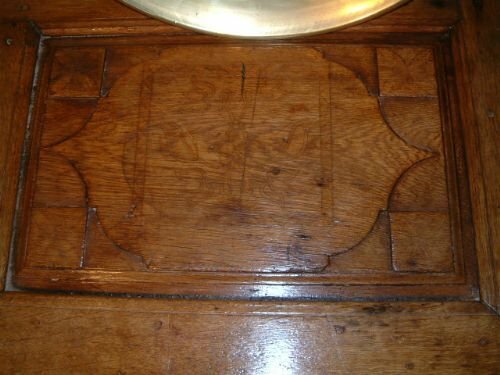 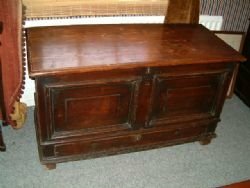 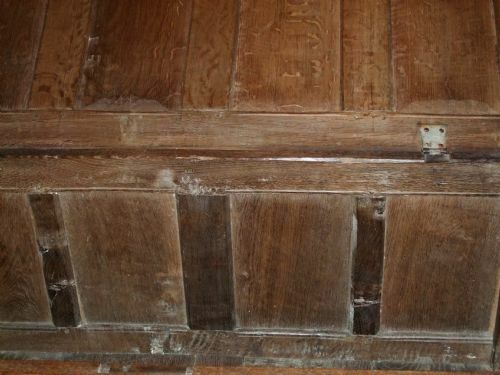 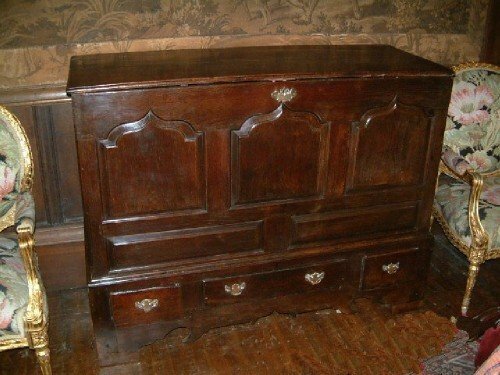 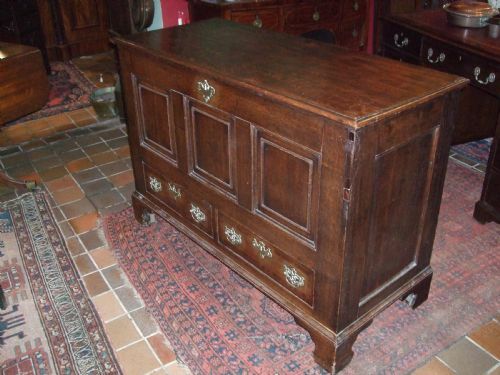 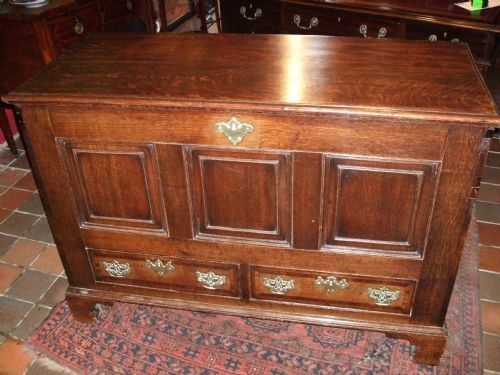 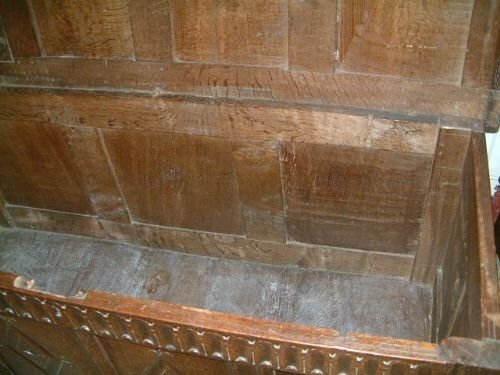 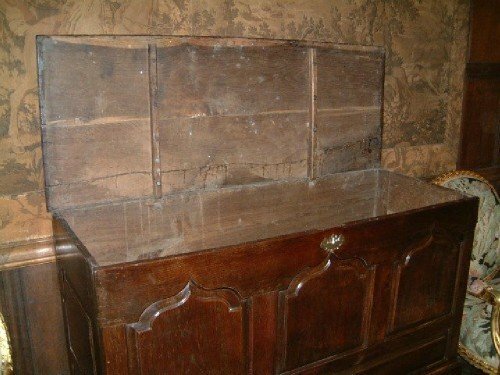 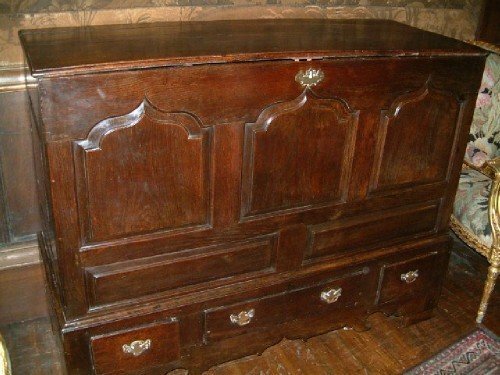 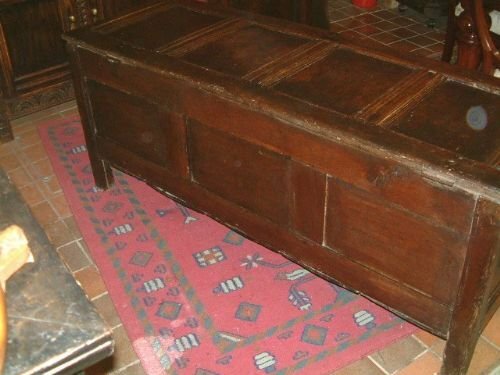 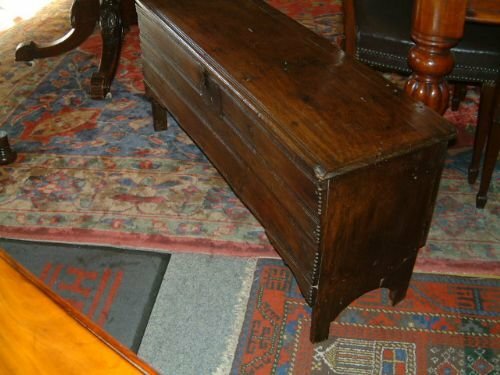 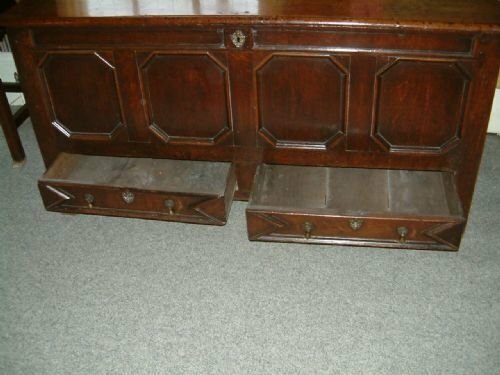 Early 18th Century Panelled Oak Coffer. 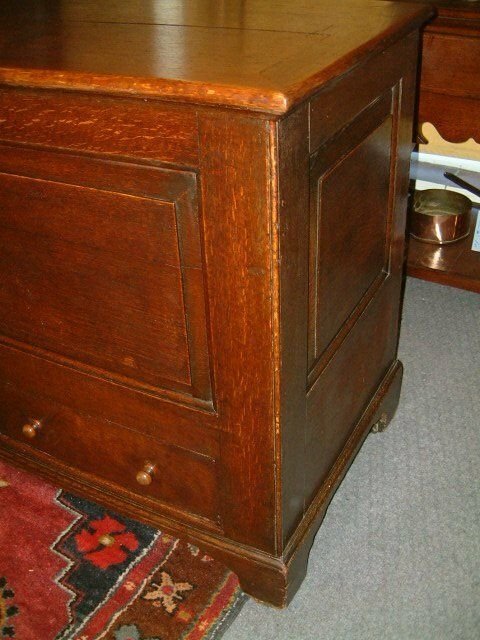 Good Colour & Nice Original Iron Catch.